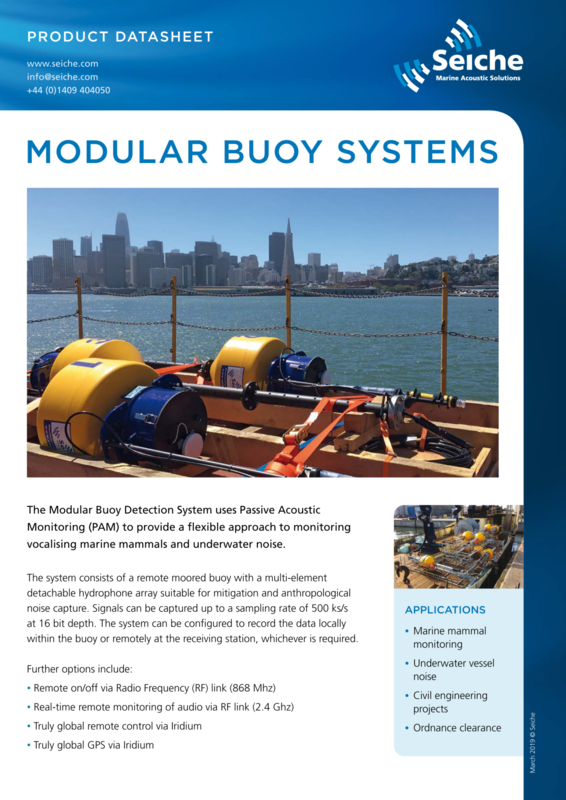 The Modular Buoy Detection System uses Passive Acoustic Monitoring (PAM) to provide a flexible approach to monitoring vocalising marine mammals and underwater noise. 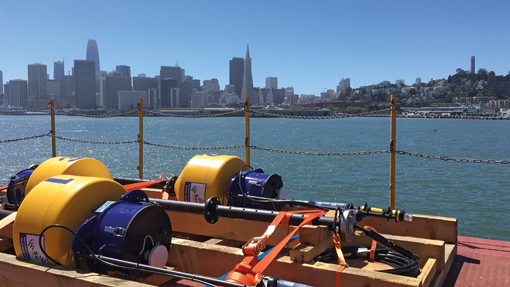 The system consists of a remote moored buoy with a multi-element detachable hydrophone array suitable for mitigation and anthropological noise capture. Signals can be captured up to a sampling rate of 500 ks/s at 16 bit depth. The system can be configured to record the data locally within the buoy or remotely at the receiving station, whichever is required.